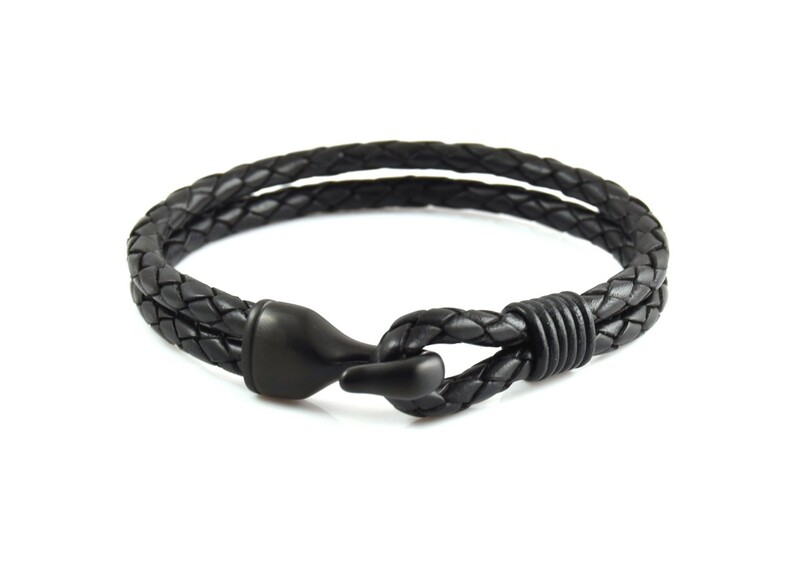 A black twin strand woven leather bracelet with a steel hook clasp. View our full range of men’s jewellery in store or online. Looking for men’s jewellery gifts? 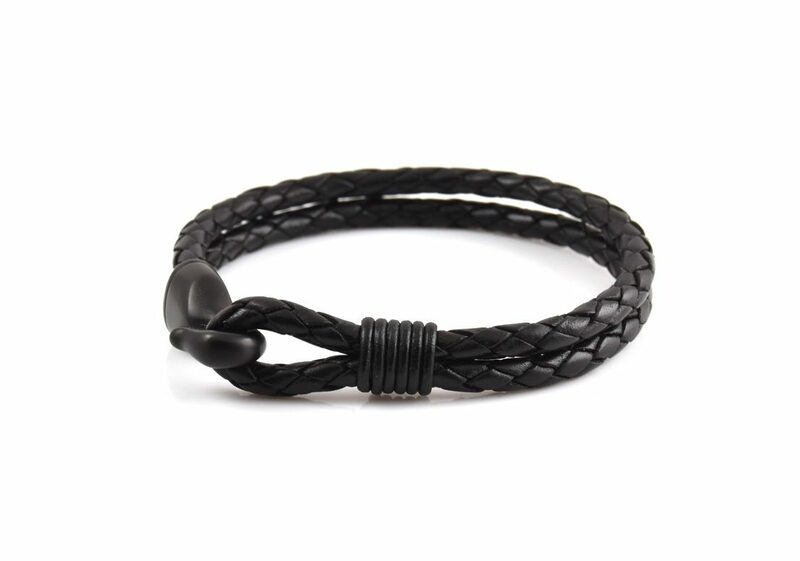 View a similar bracelet here.